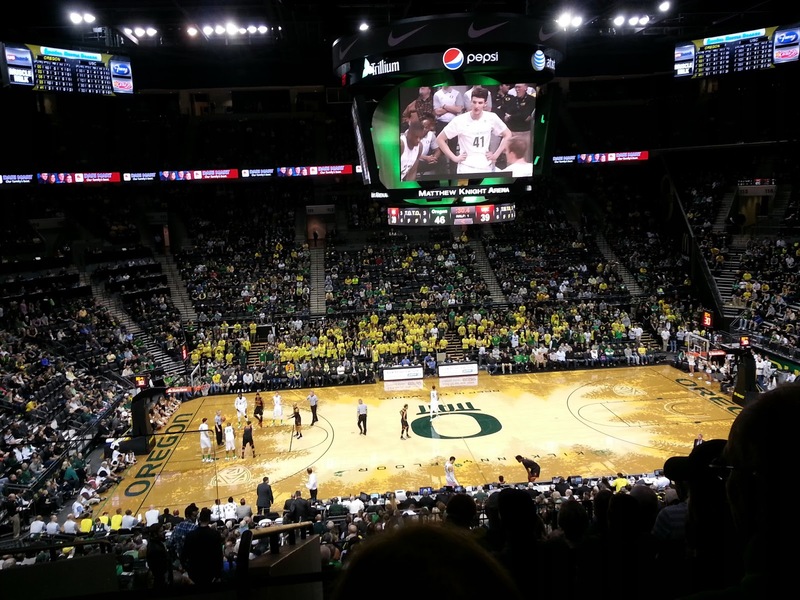 One of my co-worker's has season tickets to the Ducks basketball games. He had a trip planned that happened to be the same night as the USU and Oregon game and he asked if I wanted his tickets. It's hard to turn down free tickets, so Andy and I found ourselves at the game. I love the silhouette of trees on floor! The game we so loud! We were both super glad that we brought ear plugs. The game was neck and neck the entire time, but Oregon managed to win the game 89 to 81. 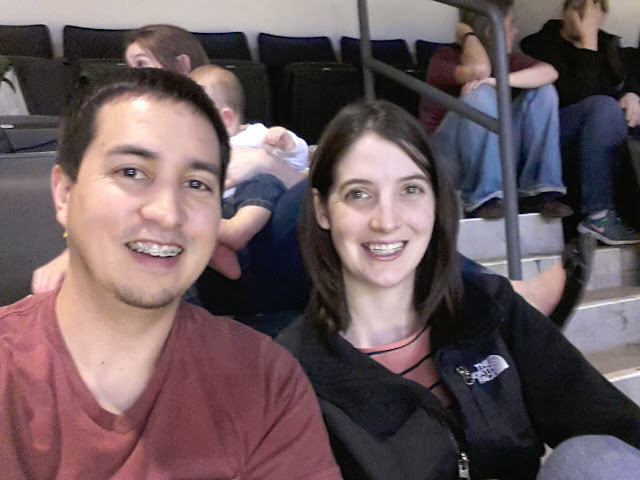 Neither one of us have ever been big basketball fans, but we had a good time. Our favorite part was the band. 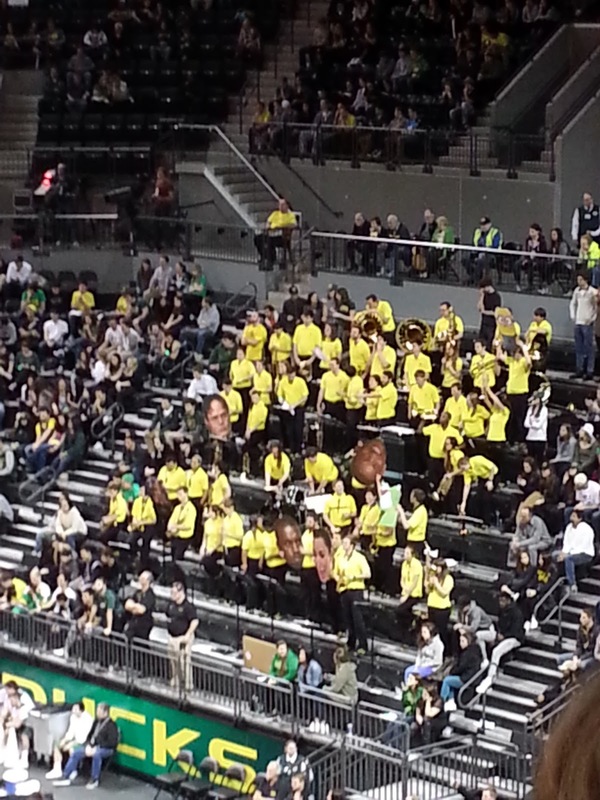 Every time USC went to make a free throw, the band would hold up large cut outs of celebrities faces and shake them around- it was pretty great!